Go in search of ancient treasure aboard the Playmobil Pirate Raft. This floating raft has a functioning cannon for any trouble along the way! 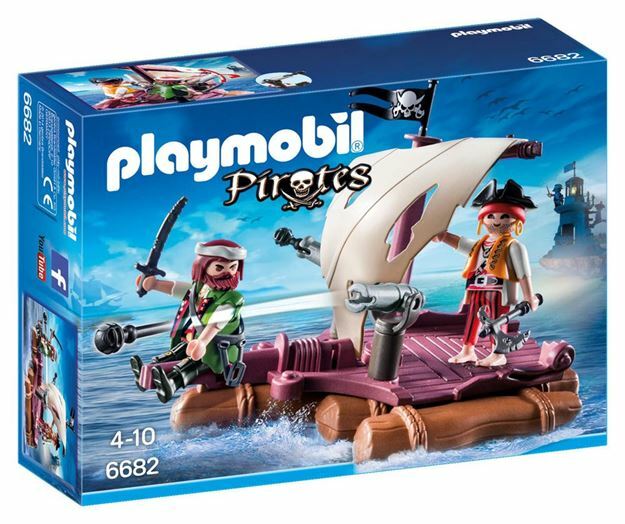 Includes: 2 pirate figures, raft, sword, functioning cannons with projectiles and accessories. Upgrade this set with the Underwater Motor (sold separately) to propel the raft through water. Part of the Pirate range. Age 4+ years. Distributed in New Zealand by Holdson.